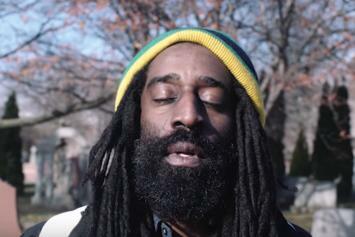 Stream Talib Kweli, Jay Electronica & Yummy Bingham's "All of Us" visuals. 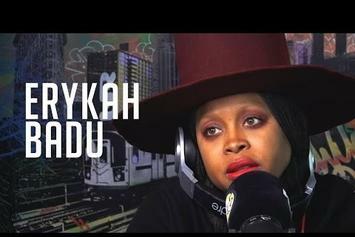 Erykah Badu sits down with Ebro and Rosenberg to talk some real. 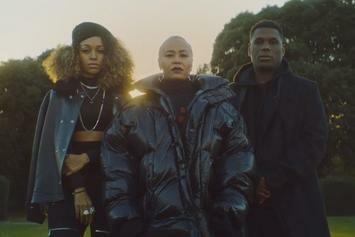 Watch Emeli Sande’s new video for “Garden” featuring Jay Electronica & Aine Zion. 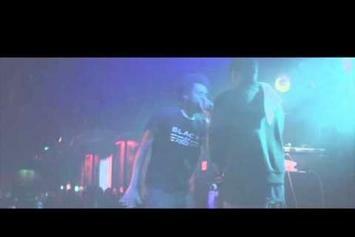 Watch Jay Electronica drop a freestyle inspired by Tribe's "Can I Kick It?". 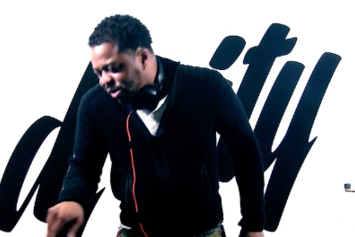 Watch Just Blaze's DJ set for the MikiDz Show, during which he drops unreleased cuts from Jay Z, Jay Electronica, and more. 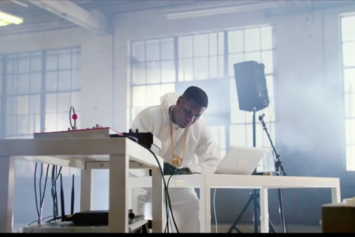 Jay Electronica creates artwork with his voice in a new video for Toyota. 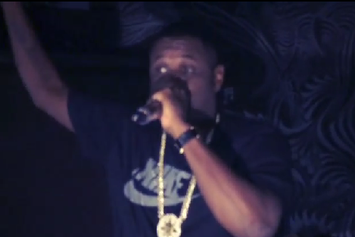 Jay Elec blesses the crowd with previously unheard material. 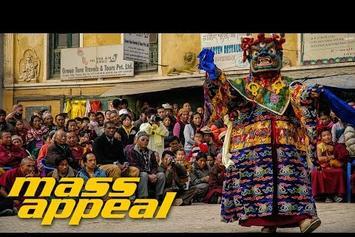 Check out the trailer for Mass Appeal's upcoming documentary on Jay Electronica. 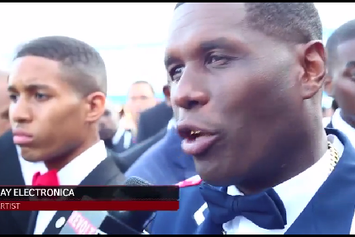 Jay Electronica speaks on his drug use and his constantly-delayed debut album. 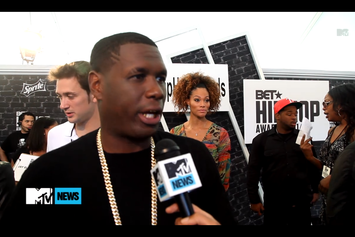 Jay Electronica speaks briefly to Revolt TV about his addiction. Watch Jay Electronica "Wanted "Control" For His LP" Video - it's the latest video from Jay Electronica, having dropped on Sunday, September 1st, 2013. Jay Electronica's musical situation is improving with every new release, and Jay Electronica "Wanted "Control" For His LP" Video will most definitely help the cause. It's a fine addition to the growing body of work Jay Electronica has been developing since stepping foot in the game. We're looking forward to what Jay Electronica has in store. Peep The Bullitts Feat. 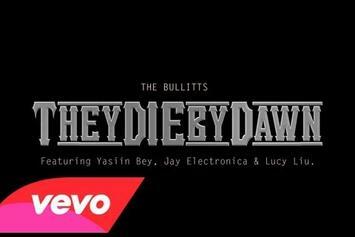 Jay Electronica, Yasiin Bey & Lucy Liu "They Die By Dawn" Video, the latest visual from The Bullitts. It dropped on Tuesday, May 28th, 2013. The Bullitts's future brightens with every new release, and The Bullitts Feat. 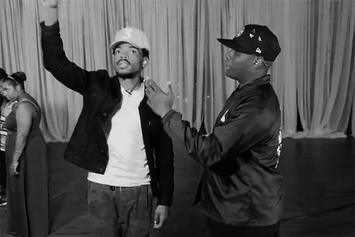 Jay Electronica, Yasiin Bey & Lucy Liu "They Die By Dawn" Video certainly isn't an exception. It's a fitting addition to a solid catalogue that The Bullitts has been developing since stepping foot in the game. We're excited to hear more. 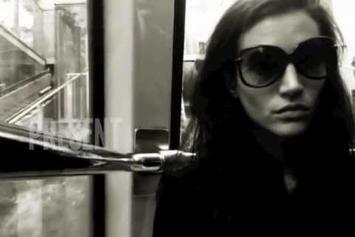 Check out The Bullitts Feat. 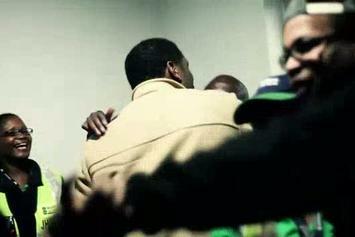 Jay Electronica "Run & Hide" Video, the latest visual from Jay Electronica, released on Thursday, July 28th, 2011. 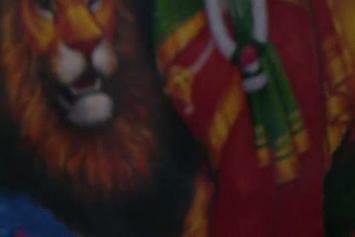 Jay Electronica continues to impress with each new leak, and The Bullitts Feat. 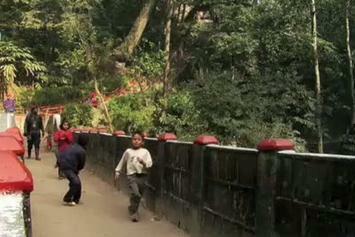 Jay Electronica "Run & Hide" Video is no exception. It's strengthens Jay Electronica's already impressive body of work, which has seen positive change over the years. We're most definitely anticipating Jay Electronica's next offering. 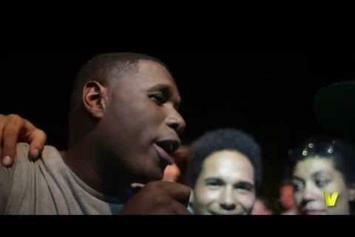 Peep Jay Electronica "Live At Summerstage" Video, the latest visual from Jay Electronica. It dropped on Wednesday, July 6th, 2011. Check out Jay Electronica "Dimethyltryptamine" Video, the latest visual from Jay Electronica, released on Saturday, April 30th, 2011. Experience Jay Electronica "Prelude To A Freestyle" Video, a new offering from Jay Electronica, which was released on Wednesday, March 16th, 2011. Things are looking better for Jay Electronica with each new release, which Jay Electronica "Prelude To A Freestyle" Video has proven yet again. It's worthy addition to the impressive body of work Jay Electronica has been developing over the years. We're looking forward to hearing what's next. Behold Jay Electronica "The Making Of Act II" Video, a new offering from Jay Electronica, which was released on Tuesday, March 8th, 2011. Jay Electronica's rap artistry continues to improve with every release, something which is most definitely evidenced on Jay Electronica "The Making Of Act II" Video. His ever - expanding catalogue is definitely better for it, and we're looking forward to the next piece of the puzzle - aren't you? Experience Jay Electronica "Interview On The Come Up Show" Video, a new offering from Jay Electronica, which was released on Thursday, January 13th, 2011. Things are looking better for Jay Electronica with each new release, which Jay Electronica "Interview On The Come Up Show" Video has proven yet again. It's worthy addition to the impressive body of work Jay Electronica has been developing over the years. We're looking forward to hearing what's next.